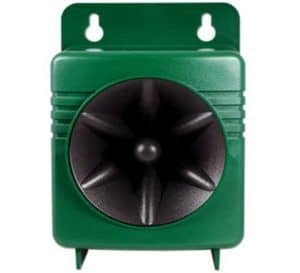 Electronic bird repellent devices produce extremely effective audio and visual threats that frighten, irritate, and disorient birds, forcing them to seek calmer, untreated areas. 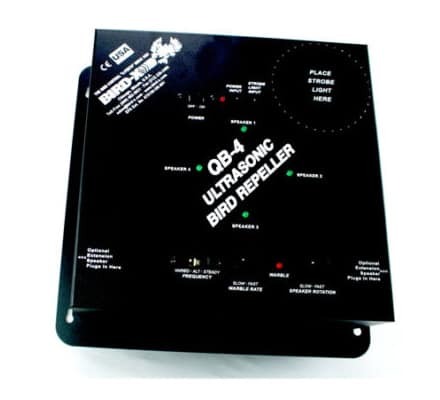 Electronic bird deterrents condition pest birds to stay away from treated areas for good. 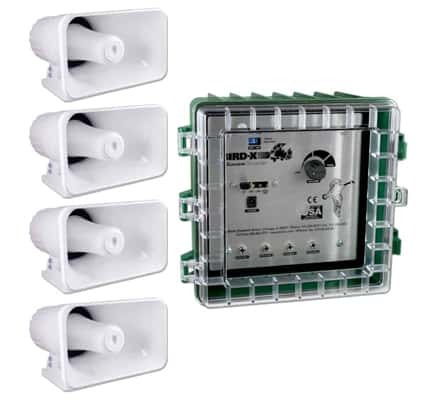 Bird-X offers the most unique line of electronic bird repellents in the industry. Using the latest technology, from the Bird-X Laser Collection to the ProHawk UAV Drone, our electronic bird repellers provide effective, cost-effective, humane bird control solutions. 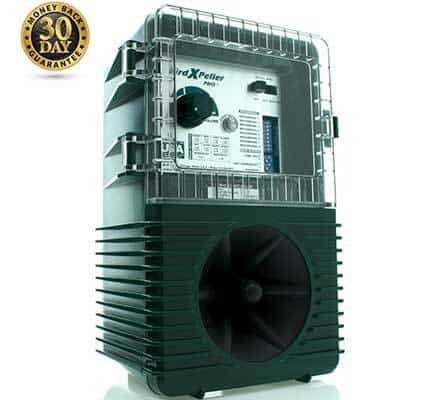 Coverage is offered for both small and large areas alike, while only requiring minimal installation and effort. 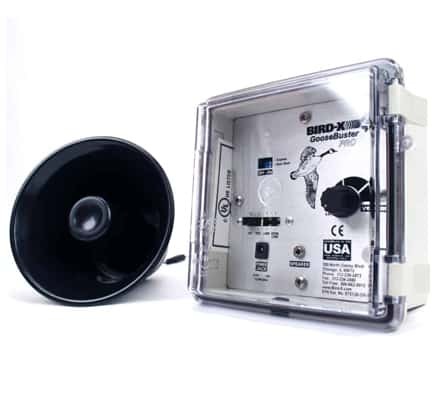 Devices broadcast threatening recordings, telling birds to stay away. up to 6 acres (261,360 sq. ft). up to 1 acre (43,560 sq. ft). ALL ANIMALS AND BIRDS are repelled by Critter Blaster PRO. Do not use around pets or in public areas. ALL ANIMALS AND BIRDS are repelled by Mega Blaster PRO. Do not use around pets or in public areas. Silent to humans; for all indoor high traffic locations; some units may be deployed for targeted outdoors areas. Repel all bird species, bats, animals. Industrial / parking facility / warehouse / retail / loading dock, outdoor cafes, residential – many more. Recommended for use in indoor & semi-enclosed areas. Effective coverage up to 6,500 sq. ft. Recommended for use in indoor & semi-enclosed areas. Effective coverage up to 3,600 sq. 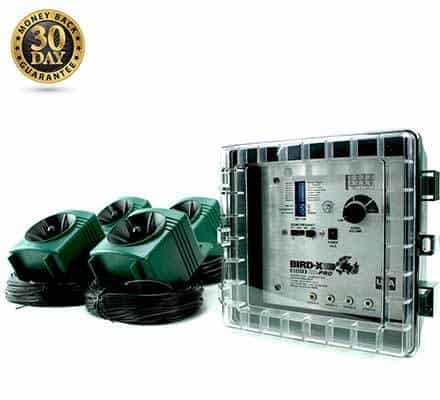 ft.
Electronic bird control devices are easy to install and start repelling pest birds instantly. 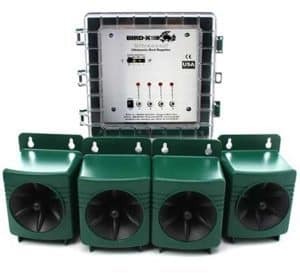 For fast results and minimal labor, electronic bird control is an excellent choice. 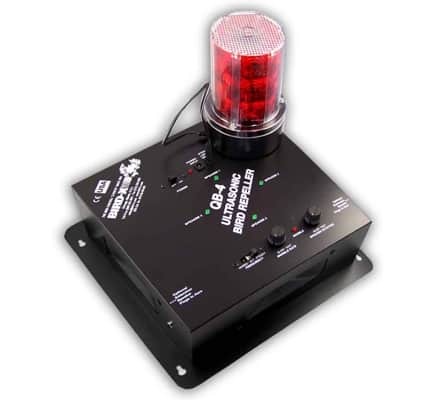 Electronic bird repellents cover areas where use of physical barriers or visual scares may not be ideal. 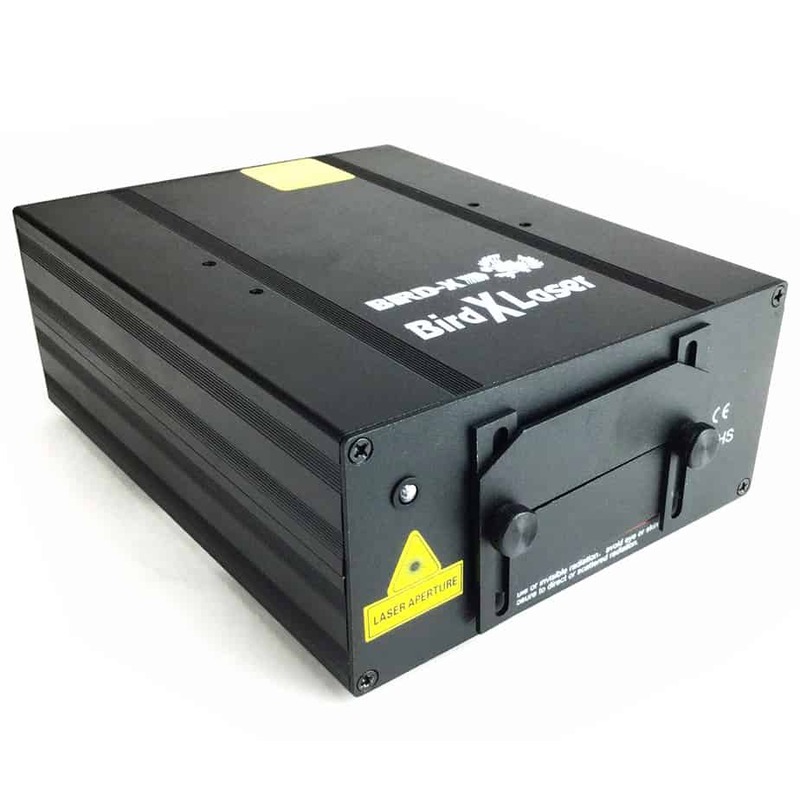 Sometimes sonic/ultrasonic broadcasts and repellent lasers are only needed during certain times of the day. 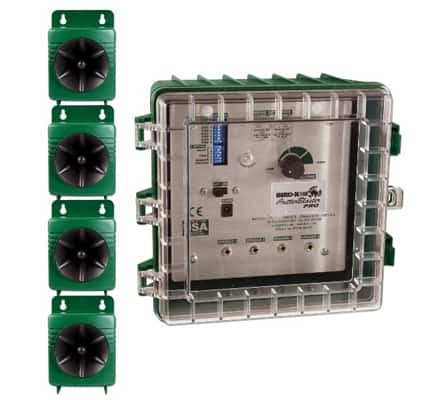 Electronic bird deterrent units are easily programmable to run on a specific schedule so that birds are unable to acclimate within covered areas. 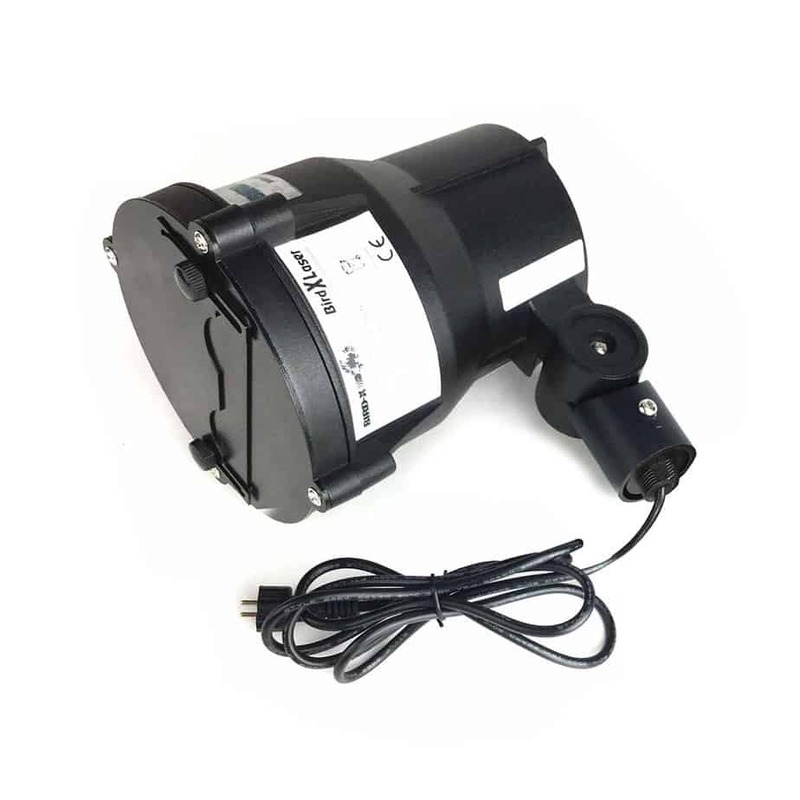 Electronic bird repellers are long-lasting and require little to no maintenance. Simply install and switch on the product for effective results that can last for years with proper use. 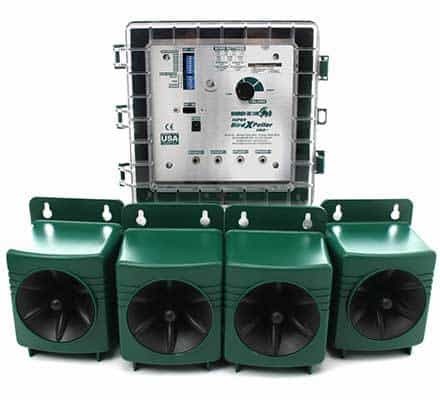 Electronic bird control is humane and eco-friendly! No mess, no chemicals, no traps! 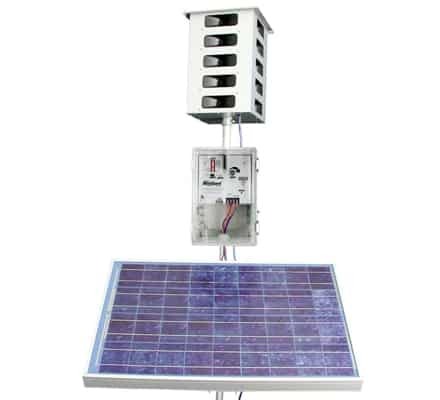 Bird-X electronic units can also be paired with a solar panel—ideal for remote areas with power limitations or to reduce energy consumption.